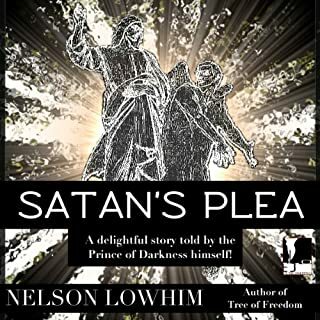 There's a lot of biblical references although I am pretty sure Christians would consider this story to be blasphemy. The demon narrator has a gravelly voice so he's hard to understand in places and it seems like he is just ranting about various things. Some people might find this quick one hour listen fun and enjoyable, but it just wasn't for me. 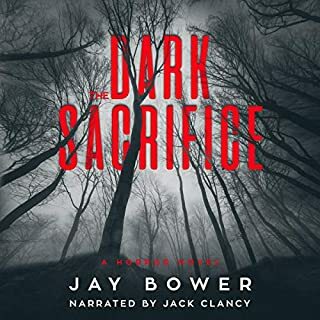 I got this on Audible's $5 sale recently. It's a bit slow in places and the characters aren't as well developed as I'd have liked. I liked the character of Frank, a quirky little boy obsessed with fashion and classic movies. It was okay for the price I paid but not as good as other books with quirky characters that I've read. I picked this up during the $5 sale recently. I have never listened to this author before but the book had decent reviews. The first chapter is a little off, the narrator might have been still trying to find the right tone to the story but stick with it, it gets better. By the third chapter I was hooked. If I didn't need to break for work I would have listened straight through instead of three days. I highly recommend to anyone who enjoys a good mystery/suspense with supernatural elements. I have had In Absentia in my wishlist for a few months now but I just couldn't bear to pull the trigger on it because it was a short listen. I am a fan of Ambrose Ibsen, just about all of his books I've enjoyed. This book did not disappoint. 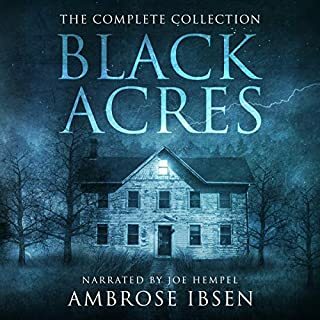 If you like creepy haunted house stories with something lurking in the shadows (there's always something lurking), you can't go wrong with Ambrose Ibsen. The violence, foul language and graphic gory images are kept to a minimum which is one of the things I really like about his writing. I feel like I can enjoy listening to his books over dinner and not risk getting sick to my stomach. He writes great imagery and the setting becomes just as much of a character as the people are in the story. I was not a fan of the husband in this story. He was too realistic to a few men I've met and until the last quarter of the book he wasn't the main focus of the story. It was his wife who was seeing and hearing things and possibly going mad and all he did was dismiss her fears with rational explanations. The end of the book left my scratching my head, I thought it could've ended a little better but up until the last couple of sentences I was hooked. I received this book free in exchange for an honest review from Auidobook Boom. I was voluntarily provided this free review copy audiobook. 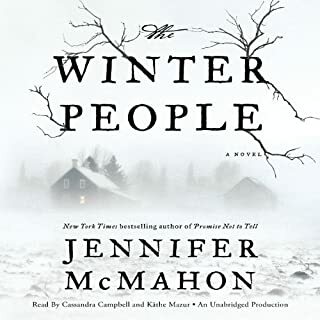 I wasn't sure if I'd like this book or not when I selected it on Audiobook Boom but it turned out to really surprise me. 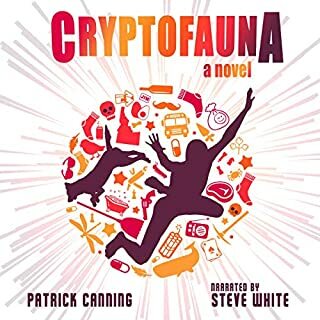 It's a mix of fantasy and action all mixed together in a nonsensical game called "Cryptofauna". The main character, Jim, is selected to be the newest recruit in this game and isn't really given much in the way of instruction. He's just kind of pushed or thrown into one situation after another throughout the book and as he goes through the process of learning this game he picks up companions, each with their own special quirks, including a painter who hates the color blue. fun, fast paced fantasy stories. The author writes very detailed characters and descriptions. You get a sense these people are based on people she knows. I am not a big fan of this story mainly because I like my chick lit to be light and fun, this story is not that. Take this review with a grain of salt since I couldn't listen to the entire book. I found the part I listened to to be unrealistic in small ways that kept bringing me out of the story. It was extremely detailed and I could picture the locations very well but small things like the friend died on Saturday and by the day of her funeral her trailer is already moved out of the trailer park. So basically the friend died and her husband immediately decided to move the trailer rather than deal with his grief and all the preparations of the funeral. Two small children almost get hit by a truck in the middle of the road, their mom just sits and cries while the children continue to stand in the middle of the road, it's only when the little boy knocks on the car door does the mother pick him up and put him inside the car. By the time the story got to the confrontation with the irresponsible babysitter, I had enough. I don't listen to a lot of sci fi books, for me they are "a change of pace" from my usual fare of horror thrillers or light comedies. 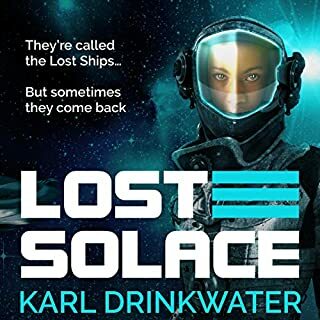 This was my first time listening to anything by Karl Drinkwater and I can honestly say I really enjoyed it. The story really only has two characters, the main character and her AI companion who is looking out for her best interest. 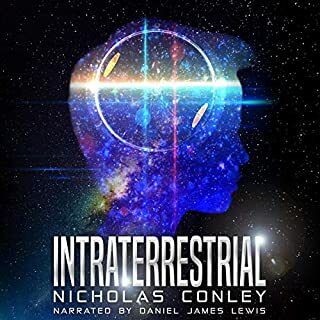 When the main character, Opal, encounters danger on a lost ship, her AI companion, Clarissa, is the voice in her ear telling her what or who is chasing after her. 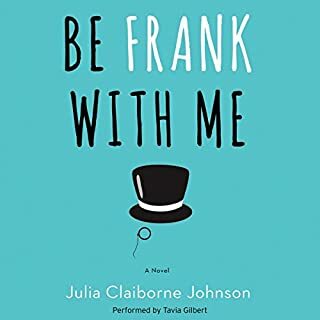 The narrator does a great job and the story is well written although the ending left me hanging. I'm hopeful there's going to be a sequel so I can see what happens next. I had a hard time getting into this story, the premise sounded interesting but I just couldn't get immersed into the story, it just wasn't for me. I was given this free review copy audiobook at my request and have voluntarily left this review.